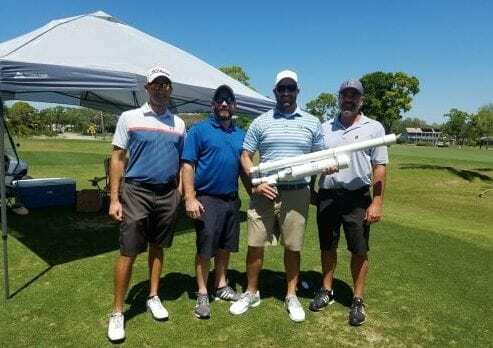 BRADENTON – The foursome sponsored by LaPensee Plumbing Pools & Air won the Fifth Annual Rotary Club of Anna Maria Island Charity Golf Tournament. More than 70 golfers participated in the Wednesday, April 3 fundraising tournament held again this year at the IMG Academy Golf Club in Bradenton. 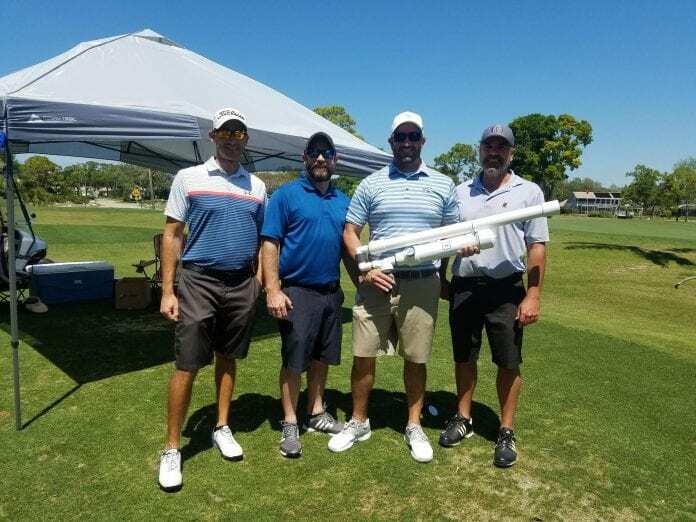 Greg LaPensee, Jason Ghromley, Bryan Meador and Brandon Johnson shot a combined low score of 54 in the best ball style of play tournament co-sponsored by The Anna Maria Island Sun. While standing in the buffet line at the after-tournament awards dinner, LaPensee Plumbing Pools and Air co-owner and Rotarian Mike LaPensee commented on his son’s team’s victory. “They did awesome. 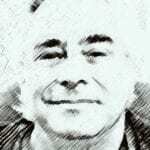 They have played this thing a few times and they were on the numbers today,” LaPensee said. LaPensee said the Rotary Club’s charitable efforts tie in nicely with their family businesses’ approach to community service. “The community supports us and we do our best to support them,” LaPensee said. The foursome of Bruce Abramson, Mark Caputo, Lee Anderson and Fred Carvin finished second with a combined score of 57. “We should’ve played better on the other three holes, but we had a lot of fun,” Carvin said. Carvin is a member of the Palmetto Rotary Club. “They send a team over to our tournament and we come over to theirs. We like to support other clubs,” Carvin said. Chris Staubo, from Norway, traveled the farthest to compete in this year’s tournament. Fourteen-year-old Brennan Decker, from Indianapolis, was this year’s youngest contestant. Each foursome paid a $400 entry fee. The fundraising activities that continued during the awards dinner in the IMG banquet room included a silent auction and raffles that included Wheel Barrow of Cheer won by Paulie Caputo. Once again, nobody won the free car Bob Boast Volkswagen offered to the first golfer to score a hole in one on the designated par 3 hole. New this year was the addition of the air-powered cannon launch players used to tee off on the sixth hole. “I shot it and the ball went over 400 yards. I got within 15 feet of the green when I tested it,” Rotary Club President Dennis Schuermann said. On Monday, Schuermann said final numbers weren’t all in yet but this year’s tournament raised more than $12,000. The tournament proceeds will again support Rotary Club programs at Anna Maria Elementary School, the AMI Rotary’s Learn to Swim Program and the $500 education grants given to the winners of annual Anna Maria Island Concert Chorus and Orchestra Young Solo Artist Competition. “We’ve got about 20 programs we help every year,” Schuermann said.